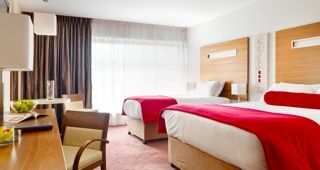 amThe modern and chic four star Clayton Hotel Galway is ideally located only minutes from the vibrant Galway city centre, Galway Airport and all major routes. 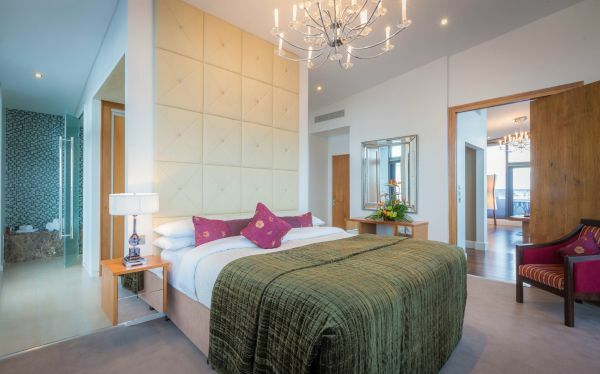 The main train station is only a short transfer by taxi to the hotel; alternatively we offer free parking and regular bus routes with direct access to the city centre opposite the hotel entrance. 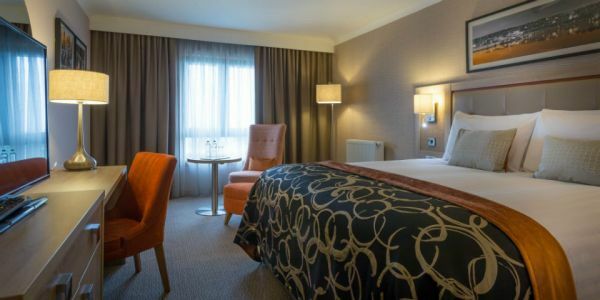 Clayton Hotel Galay features 195 contemporary and spacious bedrooms with no sacrifice to comfort and features. Guests enjoy the following as standard: self controlled air conditioning, ergonomic workstation with broadband and power connectivity, rainforest shower, interactive flat screen T.V., pillow topped mattresses, black out blinds, direct dial phone facility, hairdryer and tea/coffee making facilities. With a choice of dining experiences available the Tribes Restaurant and The Enclosure Bar & Bistro offer warm and friendly service with gourmet cuisine created by Head Chef Mat Bolanovsky served throughout the day. The Red Bean Roster Coffee Dock located in the hotel's lobby is perfect for midmorning Tea & Scones. For fitness or relaxation, all residents of Clayton Hotel Gaway can avail of our leisure facilities complimentary. Dive into our 20 metre swimming pool, relieve some stress in the fitness room or relax in our and sauna. During your stay at Clayton Hotel Galway, why not explore what the West of Ireland has to offer. Enjoy one of the many discounted day trips available to the Cliffs of Moher & the Burren, Kylemore Abbey, Connemara or Cong. Stroll through the colourful and vibrant streets of Galway city, which is full of fantastic restaurants, pubs and shops. Known as the ‘City of the Tribes’, its magnetic and friendly atmosphere makes it a popular destination for young and old. Alternatively enjoy some of the outdoor activities including golfing, fishing, walking and boat trips around the West Coast of Ireland - just to mention a few! Why not visit Galway Race Track, Galway Sportsground or the Greyhound track, all of which are in close proximity to the Clayton. 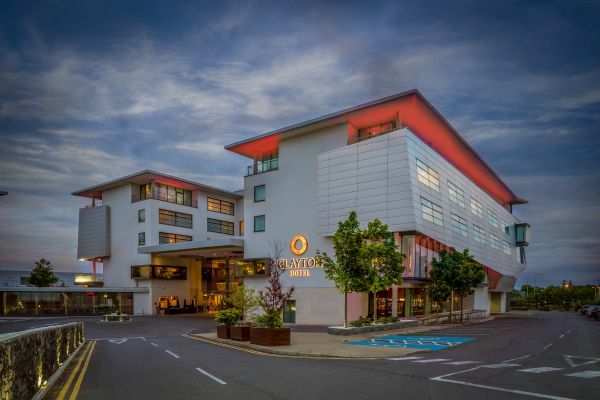 With state of the art facilities, a great location and exceptional friendly and professional service Clayton Hotel Galway is the perfect base for a stress free, unrivalled Galway experience. No single supplement applies for individual bookings. 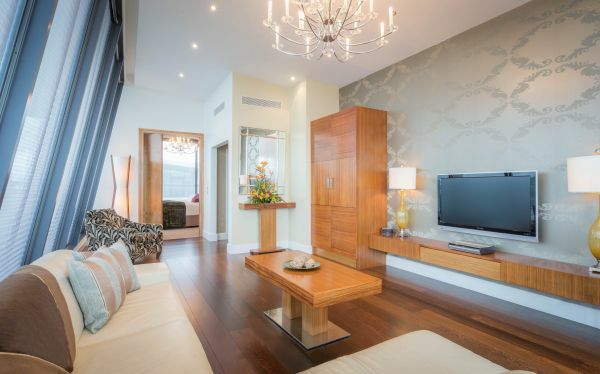 - Complimentary underground car parking facilities for residents. Discounted Group rates available and group activities available. *(For group bookings, five rooms can avail of no single supplement). For Bookings, Please Contact Reservations on the above phone number or use the below Contact Us form. Excludes July & August, Terms & Conditions Apply. 2 night Dinner B&B Package from €175per person. - No single supplement applies for individual bookings. 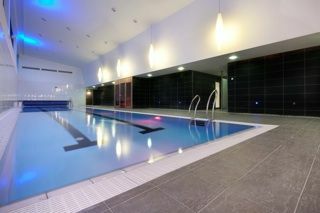 - Complimentary access to our Leisure Club with 20m Swimming Pool, Sauna & Fitness Suite. Discounted rates available and group activities available. *(For group bookings, five rooms can avail of no single supplement). Continue on the M4 from Dublin. From Ballinasloe, keep going straight on the M6. As you approach Galway, you will come to two roundabouts. At the first roundabout take the second exit, following signs for Galway City West. At the traffic lights turn left and the hotel entrance is on your right hand side. Enter Galway on the N84 and take the first exit on the Kirwan roundabout, go straight through 2 sets of traffic lights. At the 3rd set of traffic lights turn right and the hotel is then located directly on your right hand side. Enter Galway on the N17 on the Tuam road to the first set of traffic lights. Take a left here. Continue straight through the next set of traffic lights. At the 3rd and last set of traffic lights turn right and the hotel is then located directly on your right hand side. Enter Galway on the N18. At the Carromoneash roundabout take the second exit, then take the second exit at the Martin Roundabout. At the traffic lights turn leftt. The hotel entrance is on the right hand side. Turn left out of the airport, follow the road to the traffic lights. Go straight through both sets of lights and the hotel entrance is then located on your right hand side (directly after the second set of lights).